One thing is obligatory for mountain biking: mountains. And you will find more than enough of those in Tyrol. And not only those. Uncountable single trails and bike tours in Zillertal make the region where our Hotel Lamark is located an Eldorado for all those who have lost their heart on the mountain bike. It is not hard to understand that: For especially on two wheels, the unique landscape of Zillertal can be perfectly explored - on the mountain and in the valley. A mountain bike holiday in Tyrol offers both. 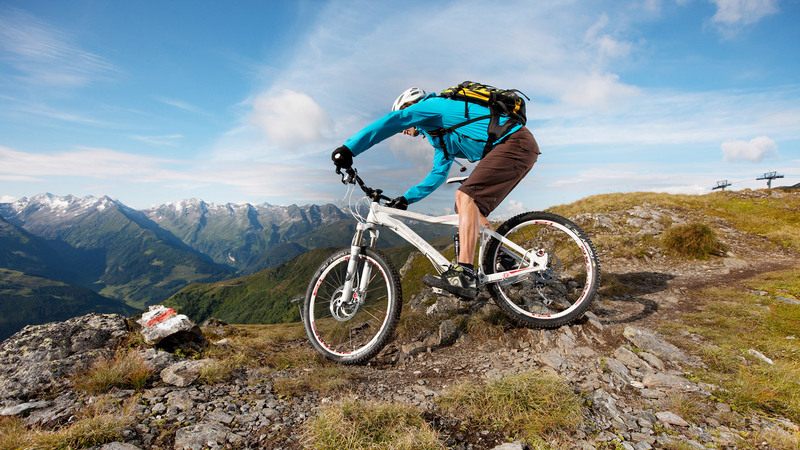 For those who are new to Zillertal, it is best to get to know mountain biking during a guided mountain bike tour. Experienced guides will address your requests and show you the most beautiful bike tours in Zillertal as well as single trails for pros. 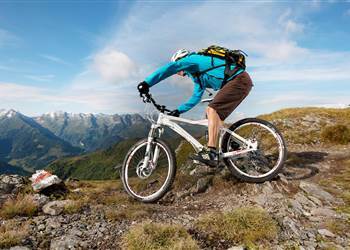 In Zillertal you will find many bike tours and trails which are virtually made for leisurely biking and collective experiences. 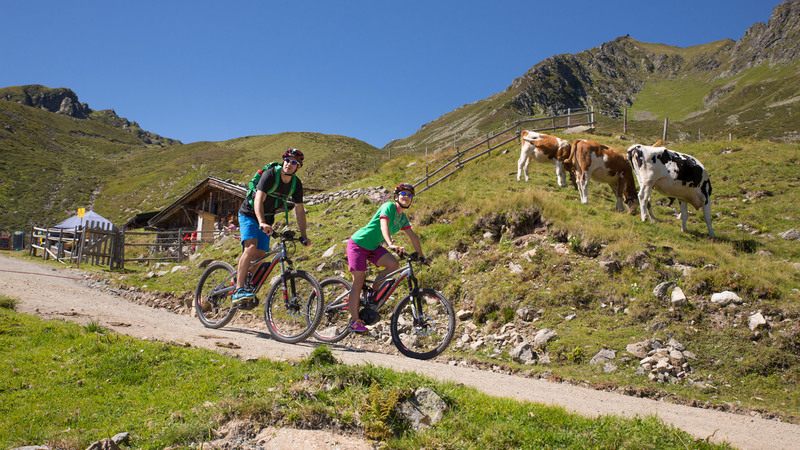 The Zillertal bike trail is perfect for families with children. It winds along the banks of the river Ziller and offers biking pleasure of the best kind. 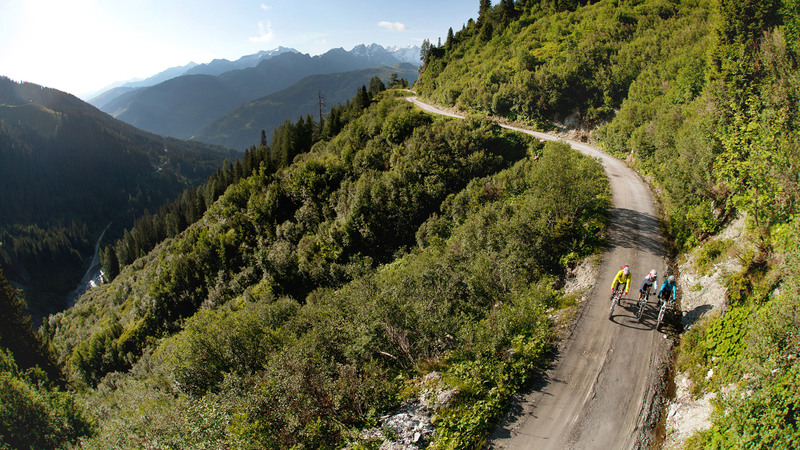 A distance of almost 31 kilometres from Strass to Mayrhofen - mainly flat terrain. A stop at one of the pools, playgrounds or adventure parks at the Ziller are certainly a nice change and those who want to can also take the Zillertal train for the return trip. Smart leisurely bikers will take the e-bike. E-biking is the latest trend in the world of biking - why not bike with “electric tailwind” through the valley or over rough and smooth. With e-biking, also “valley bikers“ will get a taste for heights - and the delicacies served on many alpine huts are surely not the only ones responsible. Those of our guests who like it a bit more challenging will be excited with the Tyrol Mountain Bike Safari. It runs across the Alps on more than 780 kilometres and encompasses three stages with single trails in different levels of difficulty - a paradise for all those looking for a challenge. 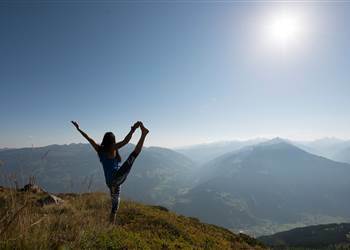 However: If you want to awaken your sports spirit during mountain biking, enjoy the beautiful Tyrolean landscapes on an e-bike or let your soul wander on one of the many bike tours in Zillertal - your ideal holiday accommodation is our Hotel Lamark! Here you will enjoy 4-star-comfort with all finesses and cordial hospitality. A paradise for adventurous bikers in the morning and for tired mountain bikers in the evening! We look forward to your message and to your booking!